"A Closer Look at the Filly Funtasia Trailer"
There's another Filly Funtasia opinion piece to show, an 11 page PDF called "A Closer Look at the Filly Funtasia Trailer" written by DeviantArt user Xeregon. It analyzes the trailer itself as well as how the person(s) in charge of BRB's YouTube channel responded to the feedback it got. You can find the document here. He also writes about the Filly Funtasia fandom where he suggests people send me more banners to use! If anyone wants to heed his suggestion, they can be sent to [email protected] as always. 1000x300px PNGs preferred. While there hasn't been too much happening in the world of Filly Funtasia lately, we do have a few small bits of news for you, after the break. 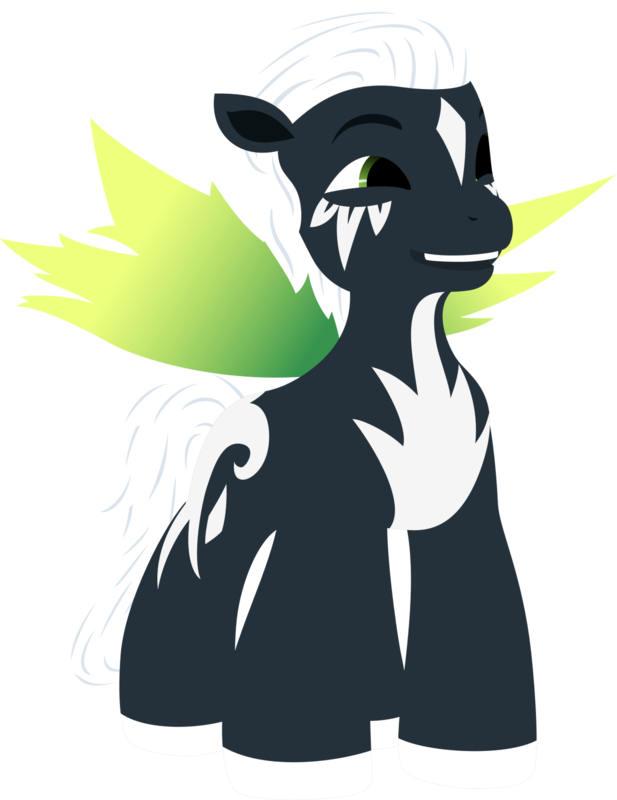 Not actually fan art as it's concept art by the co-creator of Filly that was rendered into 3D. Still neat! On with the fan art, after the break. Looks like we've got our first FMV! FillyFuntasiaTV has created this Filly Funtasia music video for "Angel With a Shotgun" using the footage available so far. Check it out after the break. Some of you may be familiar with IMMATOONLINK's comical videos about MLP toys, and now he's made a comical edit of a Filly toy commercial in the same vein! Check it out after the break. As has been requested, let's have a post speculating about the villains of the show! Our main villains seem to be Battiwigs and the Wizard. They only have a couple of lines between them in the trailer, so what do we know about them? We'll discuss it, after the break. Filly Funtasia invades yet another website! 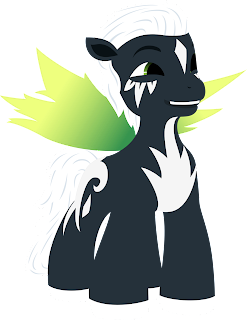 TV Tropes user "Tom S. Fox" has started a page about Filly Funtasia, which you can check out here. Let's see how many tropes we can classify the limited information available so far into. 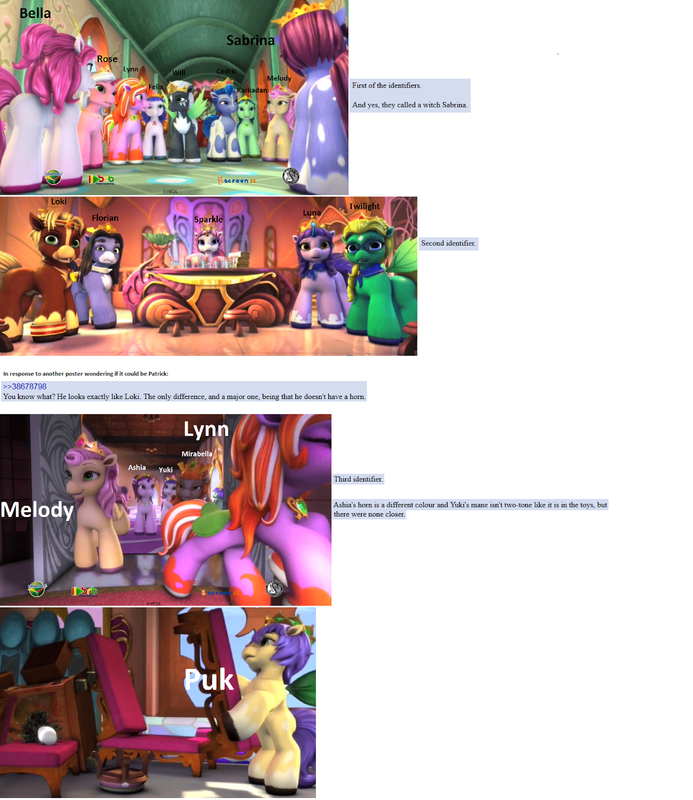 And now there's a Filly Funtasia fanfic SFW enough for me to link to. Sure, the author describes it as a "bad trollfic and awful crossover", but I still like it. You can check out "I can be a filly too!" by RealmOfMereShadows at Fimfiction. What's more, there's also a Filly Funtasia group going for those of you who may want to join that. However, since Fimfiction is only for fiction about FiM (as the name implies), I guess only FiM crossovers could be posted on that site. We might need a Fillyfiction to host the inevitable Fallout: Funtasia. Or you could email your fanfics to [email protected], I'll probably post them if they're SFW. This info is actually really old, it's just never been discussed by Funtasia fans much before. I've certainly managed to miss it completely. All the way back in September, BRB posted this press release confirming some information we've seen in secondary sources (26 episodes, and the writer list) as well as some "new" information that's summarized after the break. We've uncovered some official concept art, although it is pretty low resolution. It was found in a Filly page of a BRB catalogue, and features a really cute Battiwigs. Check out the full page after the break. Finally, we have some more video to show you besides the first trailer. A 46 second promo popped up on worldscreen recently, which shows Rose in what kind of looks like an opening shot. In the end, we see another overview shot of the school. There's lots of Fillies in the background, including some flying Fairies. If you do not want to watch it on worldscreen, it has also been reuploaded on YouTube. Check it out after the break. We continue with more analysis of the trailer. The trailer is theorized to be made up of clips from a single episode (presumably the very first one), and Ponychan user 'My Little Life on Mars' has attempted to rearrange the different clips in the trailer into the chronological order they may appear in. You can sort of see the basic structure of what might be the first part of the episode. Check it out after the break. A while back we posted a series of images with character identifications, featuring tentative identifications of the Fillies in the trailer by cross referencing their appearances in the trailer with the toys on the toy sites. Some Funtasia fans have located a possible error in this image series with Ashia and Luna being conflated. We'll take a closer look at the unicorns to investigate, after the break. 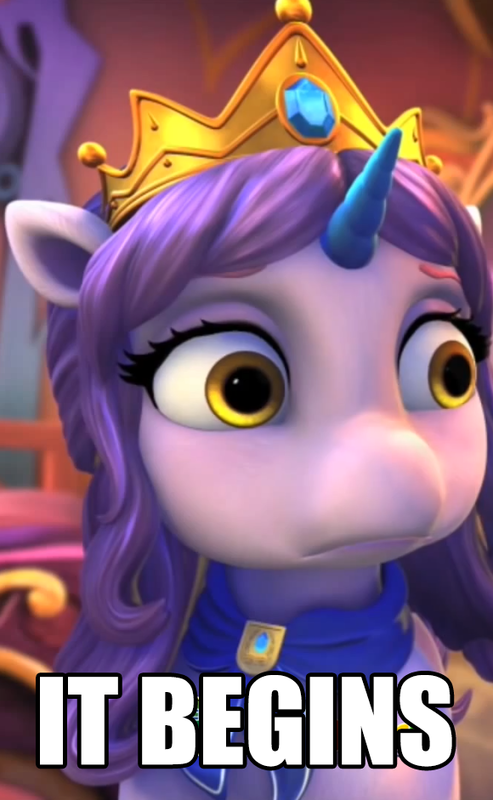 The YouTuber TheMysteriousMrEnter did a review of the Filly Funtasia trailer touching on the good and bad points back when it first appeared. It's gone from YouTube now, but has been reposted on Dailymotion. Check it out after the break. 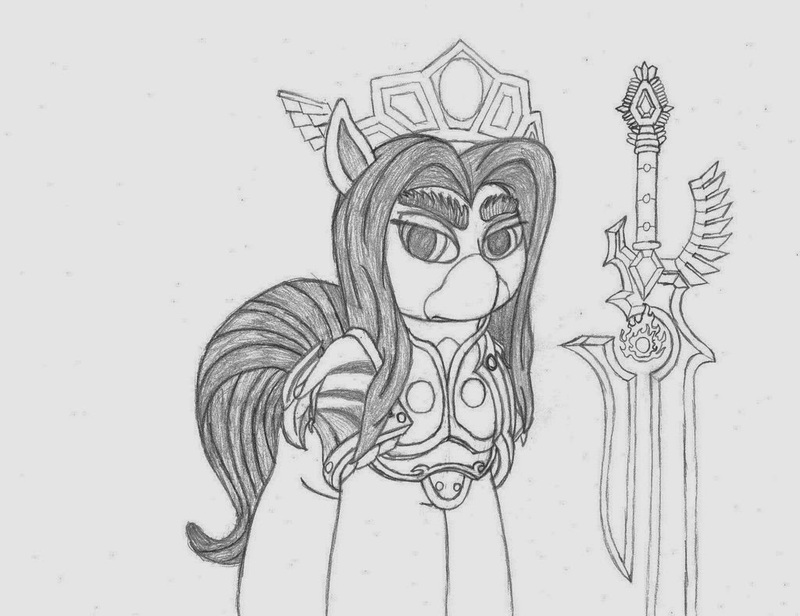 In which more fine Filly art from across the internet is displayed. Check it out after the break. Elves, Unicorns, Fairies, Princesses and Witchies are all Confirmed For Brawl, but will we get to see Mermaids in the show as well? Let's hit up the Mermaid toy site, after the break. I'm not quite sure what's going on in this video by Heretical Rants, but it's pretty spooky. Check it out after the break. It seems you've all been quite busy analyzing the trailer! We've got a submission of this name compilation created by 'EMF Scootaloo' of Ponychan. 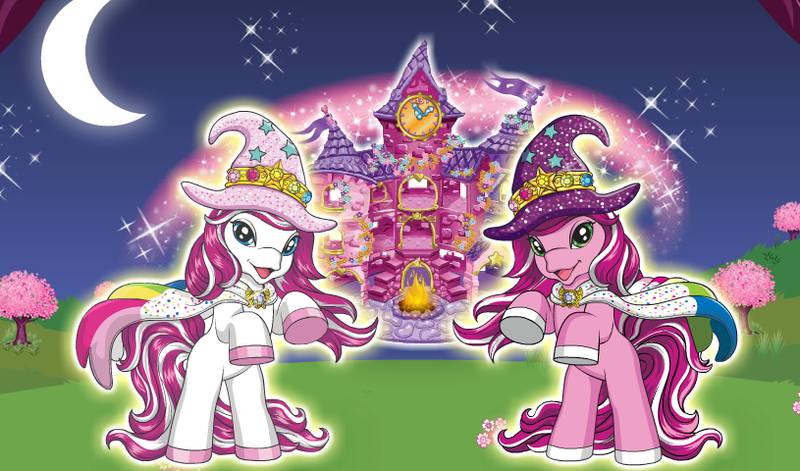 It tries to match up the Fillies seen in the trailer with the Fillies listed on the toy sites. Check it out after the break. It's time to post another comic! This one features Lynn from the show and her Witchy friends in a Halloween story. You can check out the album here. We've got some more fanart to show you! Check it out after the break. It looks like we've finally got bios for all our five main Fillies! To compile what various Funtasia fans have managed to find out so far, here's a post summarizing the all information available about our characters. Check it out after the break. Oh man, oh man, oh man. 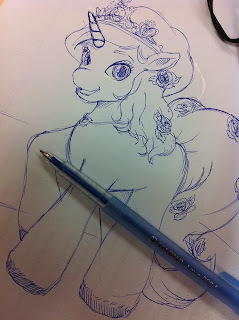 There are totally Witchy Fillies. Check them out after the break. Back when the trailer was first released, BRB Internacional were quite active in replying to people's comments on the video, divulging some interesting information. If you don't want to scroll through all the comments to find out more, don't worry. Pixeltripper has compiled all their comments into this handy image. It's a bit too long for Blogger, so you can check it out here. They mention that they have some bronies in their crew and drop a few light spoilers about the first episode. We've got a new banner now! It's from a really neat pic from the person behind the Will the Filly tumblr. Check it out and a few more after the break. We've got a translated German Filly comic to post! While it does not relate to the show directly, it's still a good way to learn some more about the Filly universe. Check out the album here. EDIT: Actually, this does feature a show character! "Isabella" is the same Filly as Bella from the show. Good news for all the Twitter-using Filly Funtasia fans! There is now a Filly Funtasia retweet bot at "@FillyRT". It will retweet anything containing "#fillyfuntasia" or "Filly Funtasia", so it's both a good way to find out what others are saying about Filly Funtasia and to get heard yourself. Check it out here. Also, there is a twitter feed for Funtasia Daily which you can find here. Some information from the Filly toy website and a toy review! Check it out after the break. 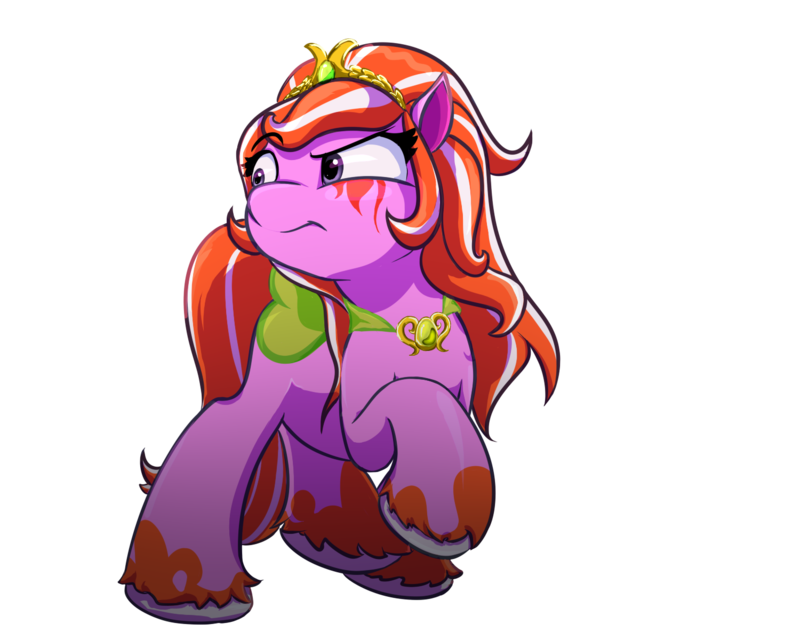 I was going to post about the Filly Funtasia flyer that was up on BRB's website, but it seems to have disappeared mysteriously! Luckily, there's a mirror up here. There are some more plot details listed in this flier for the show. It seems the main villain is going to be The Wizard of the Dark Mirror and his comical minion Battiwigs who are trying to steal the magic of the kingdom. You can see them briefly in the trailer. A compilation of some of the fanart that's been posted so far. Let me know if you have source for any pic that lacks it. Check it out after the break. 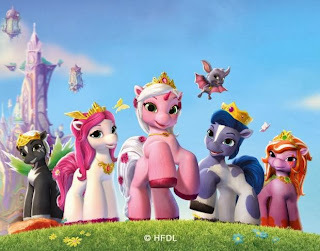 It also provides a preview of what we can expect from the show - it will center on the Filly Unicorn Rose and her endeavors at The Academy of Magic to learn all about magic and make some new friends. Check it out here. One of the articles discussing the upcoming Filly Funtasia series is from License! Global. It confirms that 26 episodes are in the making, and that BRB Internacional will distribute the series. Check out the rest of the article here. We will accept fanart, fanfics, Funtasia news, and anything else Filly Funtasia related. If you're sending in fanart, please include a link to your gallery/image source so we can link to it. This website is SFW, please do not send in any NSFW material.